Before the summer holidays started, I had a vision of what I wanted to do with the children over the school break. In my head, I had planned picnic lunches around many of Northern’s Ireland beauty spots. I even bought a cute picnic basket to keep in the car for those spontaneous moments. In reality, I haven’t ventured more than 30 mins from home. The reason being, I work from home and Luke’s one hour nap time is gold dust to me. 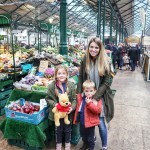 I absolutely love travelling but to be honest, travelling with a 2 year old and a five year old is just not on the cards any time soon but I do love a last minute summer staycation. 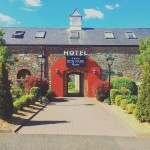 We were kindly invited to stay at the Roe Park Resort and Spa, Limavady . 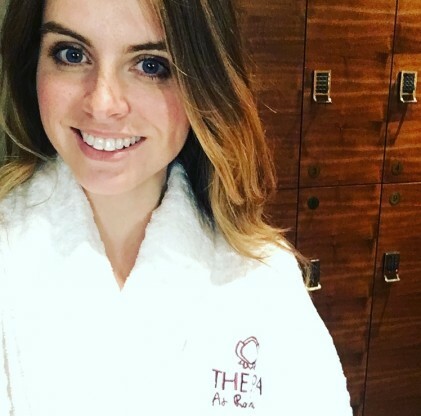 I’ve heard so many good reports about the location, the golf, the food and the spa and I just couldn’t say no, after all a short break is just what we needed. 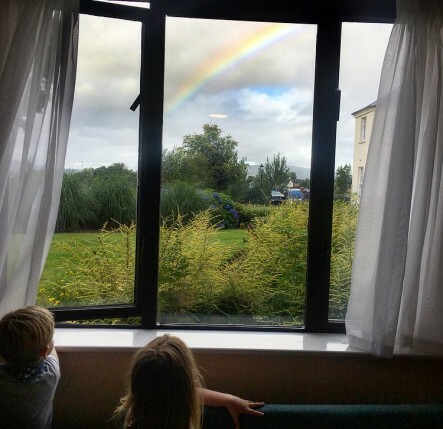 From Belfast the Roe Park Resort is a 1hr and 25min drive, plenty of time to play I spy with the little ones over and over again. We checked into our Family Suite, it was massive with plenty of space for Leila and Luke to run around pretending they are the next Lord of the dance. The room had a Super King sized bed, two single beds and a pull out sofa bed. To be honest the Super king sized bed would easily fit four of us. I didn’t hang around as I was booked into the award wining spa for 60mins of bliss, so I left them to enjoy the chocolate covered strawberries and the fruit platter. As soon as I walked through the spa door, I instantly felt relaxed. I choose to have a Hot Stone full body massage. After a recent miscarriage my back has been rather sore, so I decided now was the perfect time for a little TLC. This was the first time I had a hot stone massage, apparently it’s a treatment you either love it or hate it. I wasn’t sure what to expect. The Balinese stones bathed in the Frangipani Monoi Body Oil are worked deep into the muscles, getting into areas of tension. It was so relaxing I had to stop myself from falling asleep a few times, I just didn’t realise how much I needed a break. While I was enjoying some ‘Me time,’ Matt and the kids enjoyed a splash in the heated pool and the kids pool. There is a steam room, jacuzzi and sauna but we didn’t get a chance to use it as our little munchkins kept us busy. 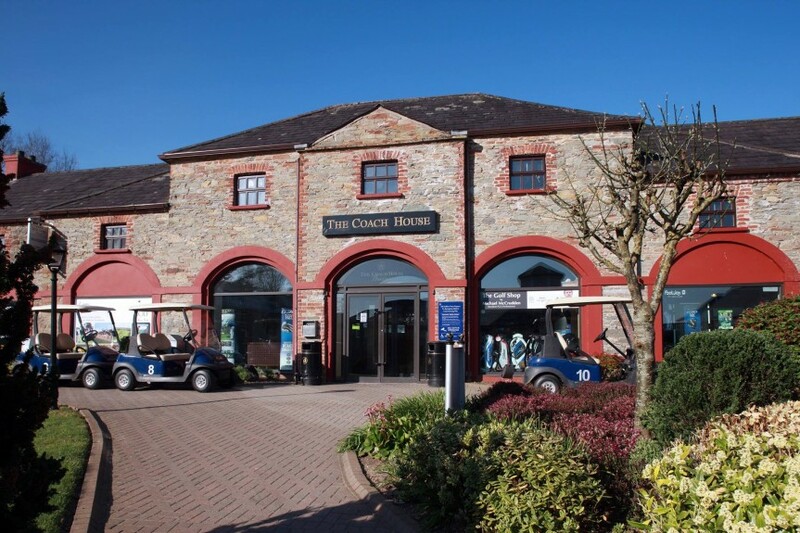 We were booked for dinner in the beautifully restored 18th century Coach House were we sat at table overlooking the golf course. Leila and Luke were very exhausted and hungry children after their swimming for an hour, so they were very excited to have their gravy served with mash potatoes and sausages. They do love to have their food swimming in gravy. Their eyes lit up at the size of the gravy dish. 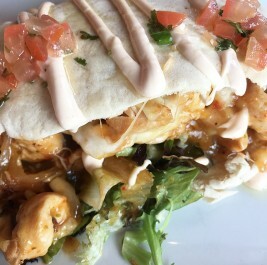 I had the Chilli Chicken Pitta Pocket which is a sweet chilli chicken & pepper stir fry in a warm pitta pocket with caramelised onions melting mozzarella & mixed leaves. Served with chipotle mayonnaise & choice of side. 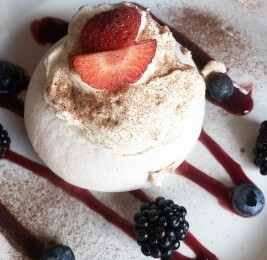 Please beware, there is a lot of eating involved with this dish. Trust me, I’m not complaining. To be honest, I have no idea what Matt had ordered because by the time I asked to photograph his meal, 70% of it was gone. 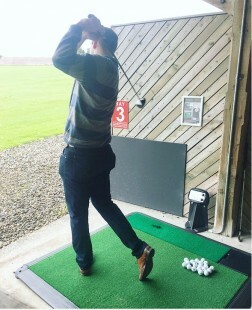 Matt was booked in for Golf Lesson with Resident PGA Pro Michael McCrudden. 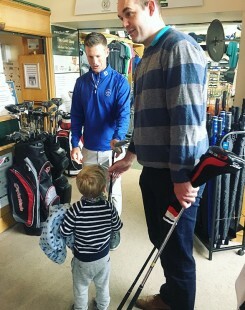 He was excited to escape and have a man chat about all things golf. He joined us after his lesson at the kids disco where they had face painting, balloon making and games. This event is complimentary but all children must be supervised by an adult. Leila and Luke where the first to arrive but they were quickly joined by other hotel guests and danced their little hearts out. 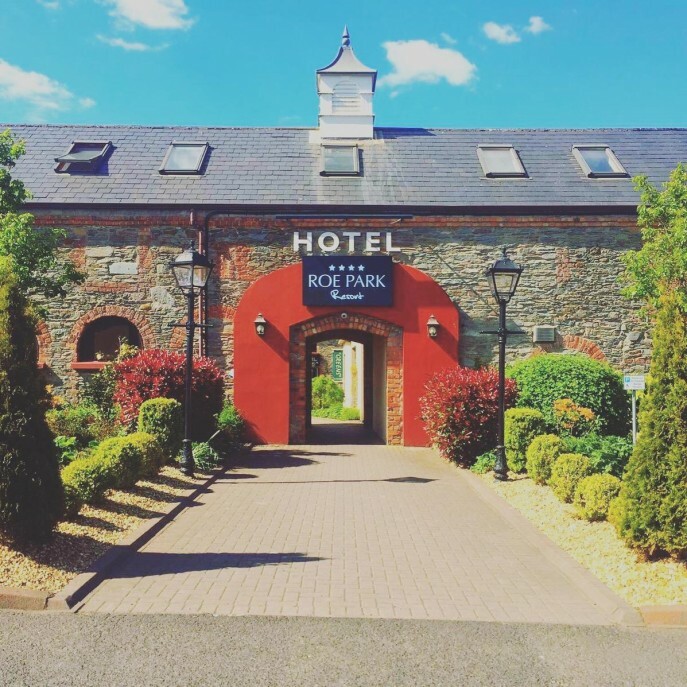 The staff at the Roe Park are lovely and accommodating, they even prepared Leila and Luke’s midnight feast of hot milk and toast which was at 8pm. This was Luke’s first time sleeping in a big boy bed, so he wanted me to sleep beside him. I gave up after an hour of trying to get him to sleep and eventually two hours later, both children were snoring. We celebrated in a dark room with Snickers mini bites from the vending machine but we had a feeling, we were in for a rocky night. We placed the sofa bed cushions on the floor which worked well when he fell out of bed three times throughout the night. To be honest, it wasn’t the best nights sleep for mummy and daddy but it was worth it. 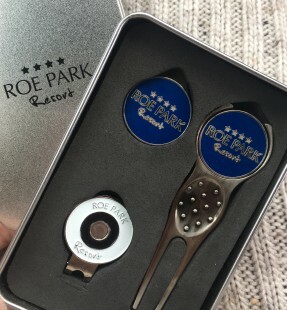 I really enjoyed our evening at the Roe park, so much so, I forgot to take pictures throughout the day. It was nice to just live in the moment and enjoy listening to the giggles. Breakfast the next morning was a buffet, with traditional Irish and continental options. Luke wasn’t himself at breakfast and he didn’t want to eat anything apart from the chocolate muffins. Sometimes there is no point in trying to reason with a two year old. Leila was also exhausted from the night before and we just knew checkout had to be much earlier than 11am. We quickly packed up our belongs and instead of going for a walk around Roe Valley Country park (which is meant to be lovely), we headed to the out door driving range for 30 mins. Michael greeted the children with golf clubs and a basket of balls each. 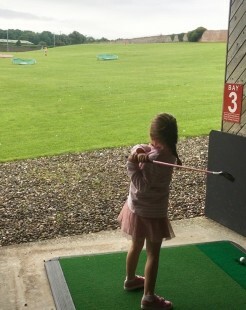 After a couple of swings, Leila really enjoyed it and she did hit some lovely shots. She is keen to start golf lessons and I even gave it a try. I’ve been telling Matt for the last 5 years that I could be the next Tiger Woods. Click here to see my video. Afterwards, we drove the coastal route to Portballintrae so Luke could have a quick nap in his cot before heading home to Belfast. It has been years seen I’ve been in the surrounding area of Limavady. I had forgotten how beautiful the drive is from Limavady to Mussenden Temple and round to Portballintrae. It makes me proud to be from such a beautiful country. 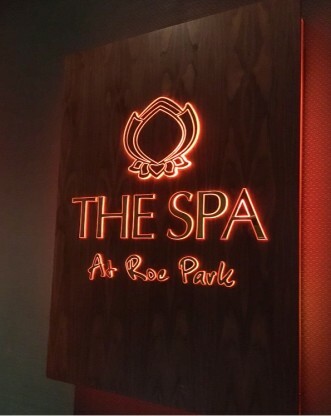 I just want to thank the Roe Park Resort and Spa for kindly inviting us to stay. We honestly had a lovely time and we would love come back again soon.